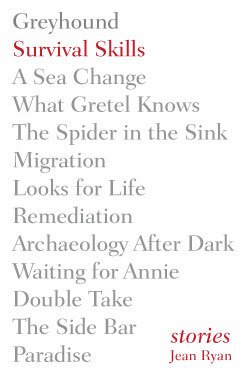 Ashland Creek Press co-founder Midge Raymond is the author of the award-winning short story collection FORGETTING ENGLISH and a novel, MY LAST CONTINENT. Learn more at MidgeRaymond.com. Q: How did you come up with the idea for this book, and how long did it take you to write it? A: These stories were written over a period of several years. As they began to gel into a collection, I was able to understand what interests me most as a writer: the natural world and the vulnerability and interdependency of all living things. I enjoy exploring the connections, the synchronicities, the quiet miracles underlying the world we see. Fear and the relative fragility of the human mind fascinate me in particular. Most of the stories were inspired by something I had read or a show I had seen. “Migration” issued from the real story of a Toulouse goose that lived in a park in Los Angeles and became smitten with one of the visitors. “Looks for Life” also came from real events—a co-worker told me about a friend of his whose life changed after a plastic surgeon rebuilt his face. “Waiting for Annie” followed a special I had seen on coma, the “silent epidemic.” Improved emergency response techniques and sophisticated life support machines are keeping more and more lives in this eerie state of suspension. Especially intriguing to me is the mind’s ability to make connections by itself, to persist without the complement of consciousness. “Paradise” emerged from a program I had watched about intelligence in birds, parrots in particular. One bird had acquired a prodigious vocabulary and this stirred my imagination. I thought it would be fun to work this creature into a story, to use him in fact as a main character. In order to create conflict, the parrot in this tale is malicious as well as brilliant. The extravagance of Palm Springs, its artificial overlay, seemed an apt parallel to the various indulgences that Max enjoyed in his man-made abode. Q: Do you have a special routine or place in which you write? A: I write in the mornings, in my living room, using a laptop computer. However, I think about my stories anywhere and everywhere, so you might say that I am always in the process of writing—either mulling over scenes in a particular story or absorbing ideas for future stories. I usually start making notes for a story in longhand. After I have a few paragraphs down, I switch to the computer. I love the ease with which text can be manipulated, and paper saved, using a computer. I edit as a I write. Manuals on writing will invariably instruct you otherwise, but my method is more like a stone mason’s: A sentence must be as strong as I can make it before layering on another. I am obsessive about finding the right word. Occasionally a word that perfectly defines an idea is not a word that fits rhythmically, so I will use a slightly different word in order to achieve the right sound. The rhythm of a sentence is very important to me, and I hear phrases as I write them. Q: Do you prefer writing short stories over novels? A: Yes. I love the immediacy of the short form, the way it pulls the reader into a situation quickly. I think the quality of writing in literary short fiction is superior to the writing in most novels. Novels often carry too much exposition and padding. Short pieces must get to the point quickly. This urgency requires distillation, a challenge I revel in—delivering a scene or idea as clearly as I can. Q: What was the most difficult aspect of your book’s journey? A: Finding a publisher. Despite shrinking attentions spans in this information age, people are still inclined to buy a novel over a book of short stories. Publishers know this, so few of them will consider buying short story collections. I would like to think that as more people embrace the various digital platforms available now, with single stories more widely available, the short form will have a revival. Q: Do you have a favorite story? A: “Paradise” and “The Side Bar” are probably my favorites. I had fun with the humor in “Paradise,” and I enjoyed creating a parrot with an agenda—I love Max! “The Side Bar” is a more serious story, which actually began as a novel. As the story expanded, I saw that it was headed in a direction that didn’t ring true, so I focused back in on the bar itself and the troubled characters it contained. The desert is a compelling backdrop for human experience, and I admire those who can withstand its haunting openness. Q: Which story did you feel was most challenging to write? And were there any that came so naturally they seemed to write themselves? 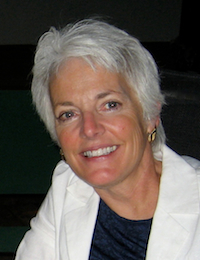 A: “Remediation” was probably my most challenging story, inspired by a woman I knew and respected. Writing about her was difficult at times; I miss her very much. The story that came most easily—and this is so rare—is “Survival Skills.” The tone of this piece presented itself to me, and the juxtaposition of plant and human felt natural. Having worked at a nursery for several years, I’ve had ample time to witness, and envy, the grace inherent in the plant world. While we blunder through our human lives, plagued with questions, stalled by indecision, plants steadily assert themselves, taking just what they need and giving more than they take. For even a moment or two, I would like to possess that certainty. Q: Who are your own literary muses? A: My own literary muses are writers whose talent takes my breath away: Virginia Woolf, Jean Thompson, Lorrie Moore, Antonya Nelson, Amy Hempel, Marisa Silver, Annie Proulx, Joan Didion, Stuart Dybek, James Lasdun, Rick Bass. In the genre of poetry, I am in constant awe of Mary Oliver. Reading the exceptional work of others gives me hope that I can achieve something close. I can at least try, can put forth my own ideas. There are countless writers in the world, and there is room for every one of us. No one can write your story but you. 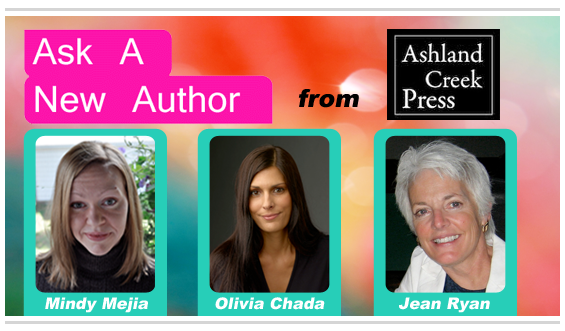 Learn more about Jean (as well as ACP authors Mindy Mejia and Olivia Chadha) in the Book Divas Ask a New Author column, which began in January and runs until June. Find answers to such questions as how to keep the faith in your work, revision tips, and more. You can also ask your own questions by sending them to askanewauthor@bookdivas.com.